All Gas Sensors will require periodic calibration to ensure your gas measurements are accurate and correct. Different gasses, and sensor manufacturers will have differing requirements and methods for calibration. This page will serve to provide general calibration information and links to specific calibration procedures from the sensor manufacturers we represent. 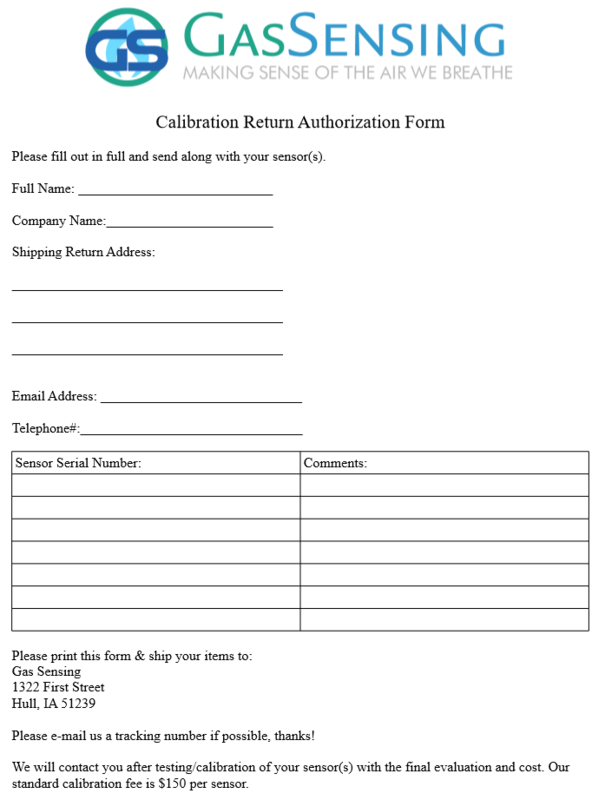 You can use the form below for sending your sensor back to us for calibration. Click on the form, print, fill out, and send it and your sensor to us. We will contact you once we have evaluated/calibrated your sensor for payment. Please note we are currently able to calibrate EcoSensors, ATI, and Aeroqual Sensors. Please contact us, if you have a different sensor you'd like calibrated to confirm that we are able to do so. Frequency of calibration will be depending upon the gasses measured, sensor type, and purpose of the gas sensor. Every gas measurement calibration standard must be directly traceable to the NIST to ensure your sensors calibration is accurate. When you are reviewing your calibration certificate it must be clearly stated that the calibration standard used to calibrate your sensor is NIST traceable. If necessary, you can, and should request the proper documentation to validate that traceability. Calibration gasses can also be NIST traceable. The NIST has set-up specific protocols for manufacturer of calibration gasses to follow to ensure your calibration gas can be provided with NIST traceability. Calibration gasses are used to calibrate many gas sensors. Known quantities of gas can be mixed with air to provide a span calibration gas to be used for calibration. 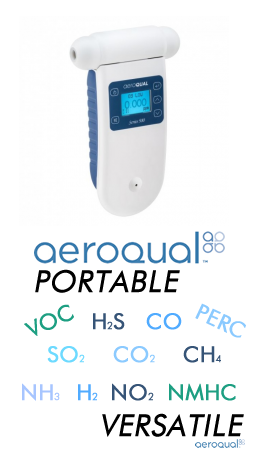 For example; if you are calibrating a chlorine sensor and would like to perform a span gas calibration at 5 ppm, you would purchase a cylinder of air mixed with exactly 5 ppm of chlorine. This gas can be used according to the manufacturers specifications to perform a span gas calibration. Zero gas cylinders are also available. This will ensure that pure air, that should read 0 ppm for your sensor can verify the zero set point of your sensor. Not all gasses are available in a cylinder as they may have a very short half-life. Ozone is the best example of a gas that must be produced on site in known quantities to perform calibration. The only option for precise ozone gas sensor calibration is sending your sensor to a facility that has a specially build calibration chamber. Field calibration is convenient for applications where many sensors are installed and would be challenging or inconvenient to send away for calibration. Field calibration of your sensors can be performed by Gas Sensing, and many other service companies that will calibrate, and repair your sensors. When you want to know if your sensor is responding a bump test is a great option. This is simply a test that exposes the sensor to the specific gas it is intended to measure and ensure that the sensor does indeed respond. While not a precise process, this does ensure that the sensor is indeed responding and can respond in a critical situation where human safety is critical. Zero calibration ensured the sensor is reading an accurate 0, or pure air situation. Most sensors have an easy way to reset the zero in the event that it drifts over time.